We welcome Dave Landry Jr. as our guest blogger; providing some important insights as to how to avoid common mistakes in Direct Marketing. Customers have a great aversion to the unknown when it comes to buying a product or a service—they want as much information as possible on it before they buy. With more access to information than ever such as online reviews, customers can find out about your products and services anyway and can determine whether it’s worth their time or money. Just because it’s new doesn’t necessarily mean it’s better; there are lots of products that were labeled as “brand new” and “the next great thing” and flopped for various reasons – technical errors, the business climate at the time, the list goes on and on. Knowing your product or service inside and out and conveying that information to customers in a way that is convincing to them is what will make them want to buy. You will also need to test it with your customers to see what’s working and what needs to be worked on—their input is invaluable to the success of your products and services. Something that a company should consider doing is integrating the data on their social networks with their customer relationship management (CRM) software to establish better feedback from their customers. Maybe your product or service is something everybody wants—but you forgot to put down the contact information on your marketing materials. It shouldn’t have to be a treasure hunt for your customers to look for your contact information—just put down all the contact information you have, including the address, phone number, email, and links to your website and social media page. Customers are bombarded with hundreds of advertisements every day, and yours needs to stand out to distinguish itself from the competition. Customers want to know what the product or service is and what it can do to benefit their everyday lives, and it doesn’t necessarily have to be a work of art just to get the message across. Google, for example, has an extremely simple layout and it is probably the most visited website in the world. Trying to reach every single customer you want to market your products and services to is a very difficult task, and marketing the same message to all audiences may not be beneficial to your marketing efforts. They each have their own bubbles—for example, professionals are on LinkedIn and people in their 20’s are on Facebook. Therefore, to make your direct marketing campaigns more effective, you need to tailor your message to the audience you are marketing to so that you can appeal to their specific wants and needs. It’s a given that salespeople should be following up—not following up shows that you lack appreciation for your customers, whether they made a purchase or not. Your customers have many things going on in their lives—putting that personal touch on your marketing efforts will show that you are interested in them not only as a customer, but as a person as well, and will endear them to your company. 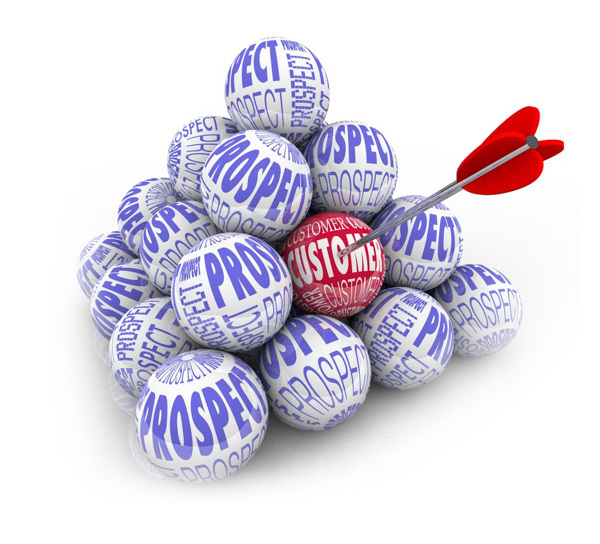 Following up will open up many opportunities such as repeat customers and new customers. Direct marketing won’t always get a sale, so make sure you keep the lines of communication open with your customers and that you are there to continue offering your products and services, as well as to answer any questions they might have. 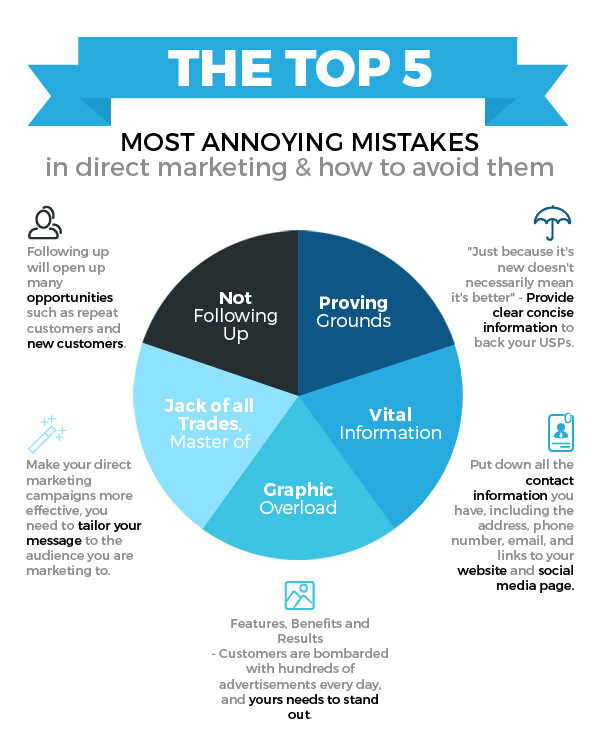 Direct marketing is rather complex and it can be easy to make a mistake in the process. When you’re trying to turn your efforts into revenue and goodwill with the public, you should make your company available to them and send a clear message to your customers that fits their profile. Keep engaging your customers until you make a sale and even if you don’t make one because they can still be customers in the future. Dave Landry Jr. is an online business writer, tech enthusiast, and entrepreneur. In addition to covering business marketing, his writing also covers start-up tips, business technology and communications, the impact of globalization and social media marketing. Follow him on Twitter today!